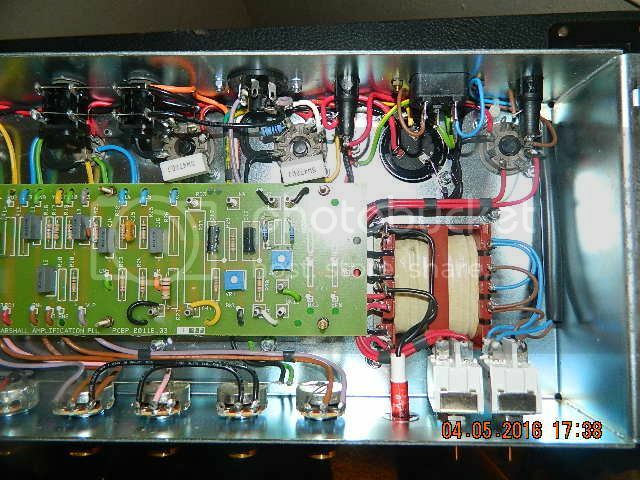 Discussion in 'Amps and Cabs' started by donthasslethehoff, May 4, 2016. I remember seeing the adds in Guitar Player magazine back when they first started reissuing them....and I didn't know squat about much of anything except they looked cool as fudge, and I wanted one. I think I was playing a peavey renown at the time. Time went by, and I just never ended up getting one. Owned all sorts of Fenders, had a Marshall dsl 50 for a short period of time, and now days I have a couple of Dr Z's that I really like. Any way, about a week ago I got a really good deal on a used 1960tv cabinet. Ended up selling one of my DrZ's and saw this JTM on Reverb for what seemed like a really good price compared to a new one, so I jumped on it. Between the amp and cab I have 1650$ bucks invested. I was a little apprehensive about how it might be contructed, I knew it was pcb, but could not find any current pictures of the guts of a newer one compared to some of the first reissues. Well, I was pleased to see that the pots and tube sockets were all chassi mounted with flying leads. Appparently mine was wired by Anita and Julie...ohhh la la. I've found a site that speaciallizes in good simple mods, to help improve upon the reissues, so I may give that a shot later down the road, but otherwize...I think it sounds pretty darn good. and I still think they look cool as fudge!!!!!! Smashies, helrazr84, QRSS and 6 others like this. I was pleased to see that the pots and tube sockets were all chassi mounted with flying leads. Appparently mine was wired by Anita and Julie...ohhh la la. lowpaygigs and Torren61 like this. Goddang, that was a good band! Aside from Ronnie Wood and Rod Stewart, those guys were tiny. 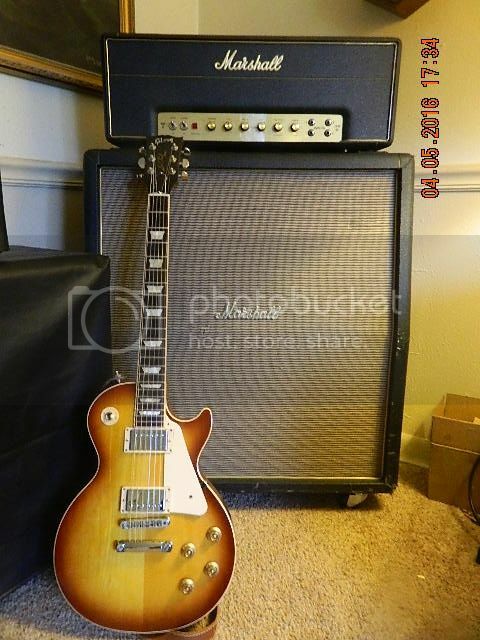 I have 3 of the JTMRI family: a 2001 45 which got stuffed into an 18 watt combo shell, a 2003 45 head that got moved to a mini head and a 1998 Bluesbreaker with UK Greenbacks. They're fantastic amps. 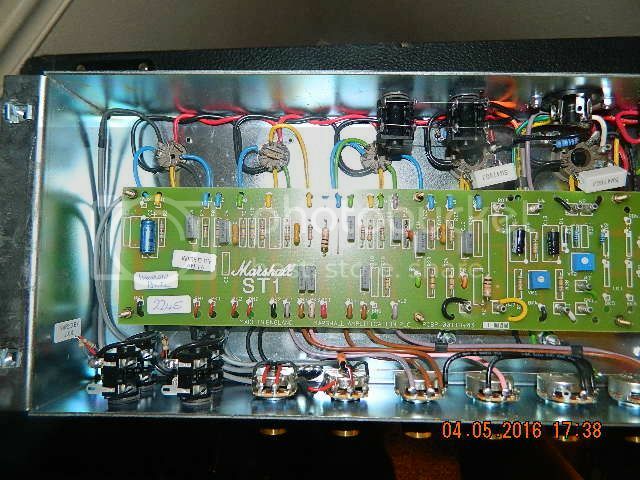 Most folks complain that they don't sound like the Beano amp or a true vintage JTM45. That's true. 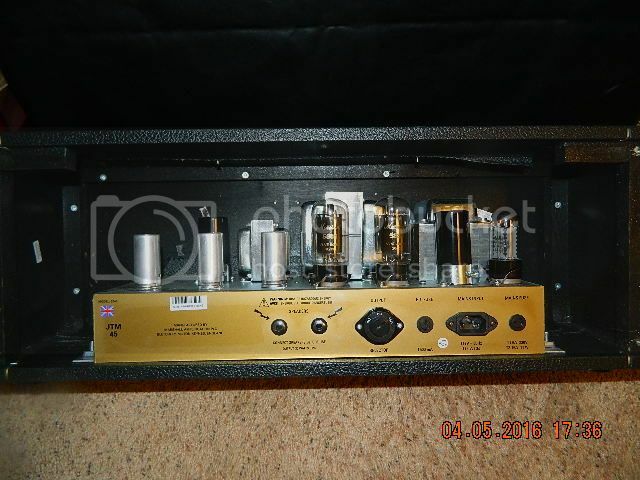 Where this amp excels is as a clean platform for pedals. IMHO, the reissue is more like a JMP50 (1987) with 6L6s and a tube rectifier. I use mine with a Barber Direct Drive and an AC Booster. I can get any tones I need and they rock with my Tele and Les Paul. For me, there's no need to mod them beyond replacing the stock Sovteks with something decent. I like Tung Sol pre's and TAD short bottles for the power. That's an affordable pairing that sounds great. morgan918 and donthasslethehoff like this. It don't get much more ROCK than that set up--NICE!! Nice work - love me some early Marshall tone!! Really liked the cleans on the jtm reissue I played. Nice! And yeah they do look badass. I also have a 1960TV cab. They're fantastic. Can't wait to hear my future JTM45 with it. In the meantime, it's paired with a SuperLead and the sound is glorious. Nice rig, live those TV cabs! Those amps run about 400-410vdc, depending on the rectifier you're using. The 6L6 and KT66 tubes you're talking about are both 30 watt tubes. If you bias them at 60% you'll be in the low 40mA range (depending on exact plate voltage). You really shouldn't need to mess with resistors - either tube should bias right up and easily handle that current and be within the sweep of the VR1 bias pot. Gotcha. Good luck with them.